Life above treeline is anything but a walk in the park. Both plants and animals lead a harsh, difficult and mutted exsistence above treeline in Rocky Mountain National Park. Lichen growing on this granite rock near the Rocky Cut is testement to the frigid winters and very short summers. Even so, this lichen displays a beautiful array of colors and diversity. 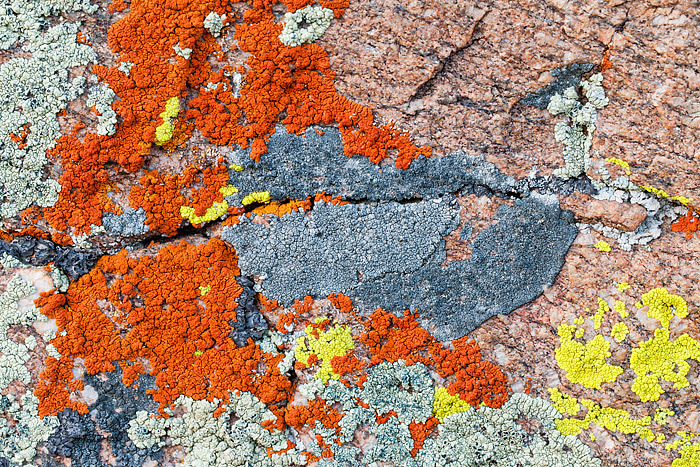 At over 12,000 ft above sea level, the lichen on this rock is exposed to some of the most difficult and harsh conditions present in both Colorado and Rocky Mountain National Park. Photo © copyright by Thomas Mangan.